Round Hill Capital (“Round Hill”), a leading specialist real estate investment, development and asset management firm together with StepStone Group Real Estate LP (“StepStone Real Estate”), a leading private markets firm, today announces that they have completed the multi-currency refinancing of the acquisition debt secured against their Nordic logistics and industrial real estate portfolio (the “Portfolio”), which comprises 327,649 sqm across 13 assets in Sweden, Norway and Denmark. The new senior loan, with a leading global insurance institution, is for a five year term and the facility also covers financing for all currently identified capital expenditure projects, which are highly value accretive. Signed 44 new leases totalling 130,143 sqm, representing 40% of the total lettable area, which has increased occupancy by over 10% to 85%. 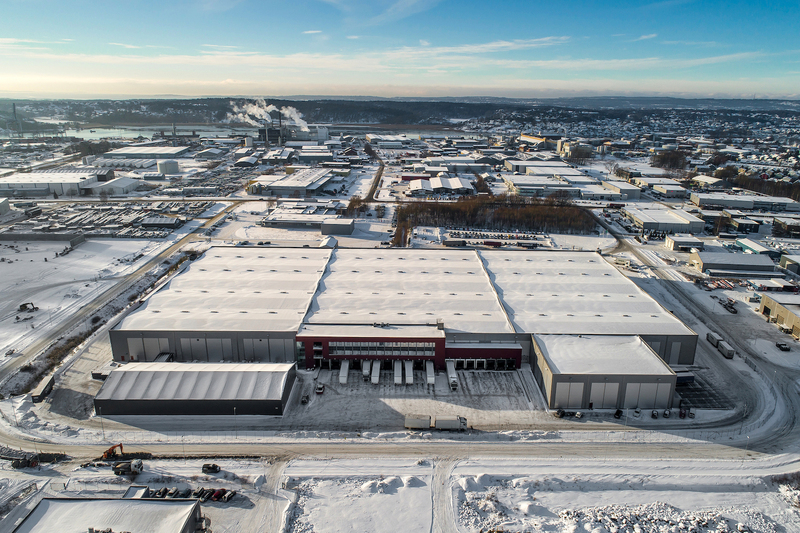 Increased the weighted average lease term of the Portfolio to almost five years from three years, with lease agreements setting new market precedents for rents for their respective areas. Round Hill’s active approach has been received well by tenants who have been looking for security of tenure. Sold five non-core assets for attractive returns. Delivering significant value-add initiatives on five assets, which include on-going work to agree significant new leases with tenants, asset extensions and to optimise the use of the land and re-zoning the land to higher value uses. Round Hill and Stepstone Real Estate’s legal advisors to the transaction were DLA Piper and CBRE Debt Advisors assisted in the process. “We are pleased to have secured this very attractive debt refinancing, which saw strong appetite from institutional debt investors and offers Round Hill Capital funding diversification on highly competitive terms as well as substantial operational flexibility. We welcome this leading global insurance institution as a supportive partner to Round Hill and we look forward to continue working with them over the long term. After only two years of ownership, we are very pleased to be ahead of our original expectations on the Portfolio, which provides both stable rental income and higher performing repositioning and development opportunities which are expected to add further value. Round Hill Capital is a leading global specialist real estate investment, development and asset management firm. Round Hill Capital has a long and proven reputation for successfully identifying and acquiring high quality real estate investments. Round Hill Capital is a highly focused investor and is experienced in establishing and running first class operating companies, having invested more than €6.5 billion of capital in real estate assets since its inception in 2002. Round Hill has a successful track record of investing in and operating residential and student accommodation assets across Europe. The Group has acquired, built and managed over 110,000 residential units and student housing beds in recent years and currently manages circa 65,000 residential units and student housing beds in over eight European countries. Round Hill’s approach incorporates multiple strategies, such as acquiring existing assets, developing new purpose-built assets, forward-purchasing assets and repositioning assets. StepStone Real Estate is an affiliate of StepStone Group LP, a leading private markets firm that oversees approximately US$120 billion of private capital allocations, including US$32 billion of assets under management. StepStone creates customized and targeted portfolios for the world’s most sophisticated investors using a highly disciplined research-focused approach across real estate, private equity, real assets, hedge funds, infrastructure and private debt. It is a global firm with 14 offices in 10 countries around the world including in New York, San Francisco, San Diego, Toronto, London, Zurich, Dublin, Beijing, Hong Kong, Tokyo, Seoul, Sydney, Perth and São Paulo.